Be confident that your department’s projects are being seen, verified, and approved by the right people at the right time. MPulse Request Approval Routing Manager makes complicated approval routing a thing of the past. Streamline the management of service requests and accelerate the approval process with advanced approval routing features. 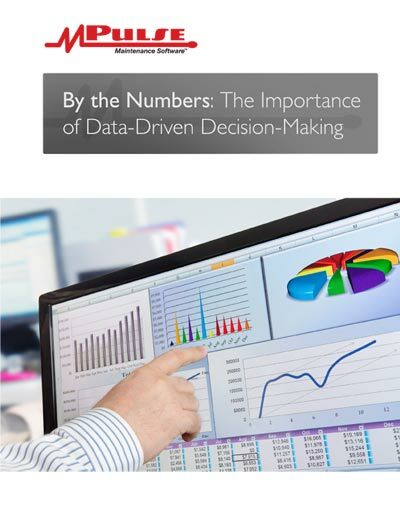 Eliminate paper-based approvals and prevent delays with automatic routing. MPulse Request Approval Routing Manager™ simplifies the maintenance request approval process, eliminating delay, and saving you time and money. Do some maintenance requests require manager approval due to spending thresholds or policy guidelines? Need an easy way to weed out frivolous requests from higher priorities? 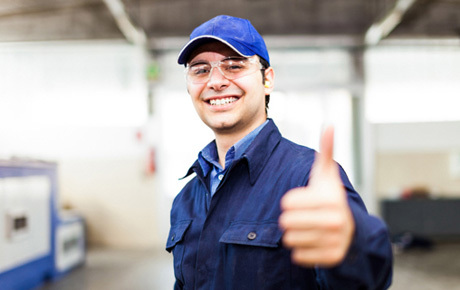 Want to get HVAC requests to your HVAC technicians and electrical requests to your electricians? 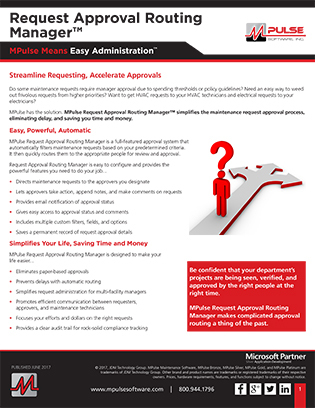 MPulse Request Approval Routing Manager is a full-featured approval system that automatically filters maintenance requests based on your predetermined criteria. It then quickly routes them to the appropriate people for review and approval. 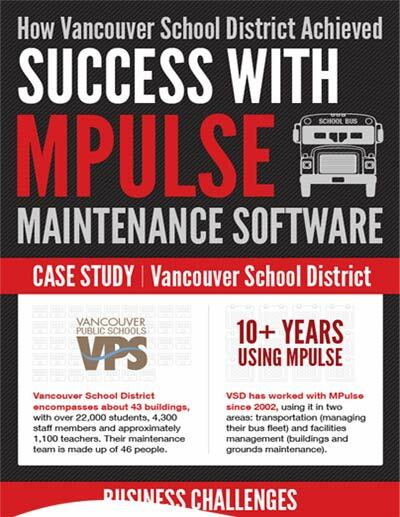 MPulse Software Editions Datasheet, When's the Right Time to Upgrade Your Maintenance Software?